In order to scale to a global user base, many of the Bitcoin Core contributors believe new protocol layers will need to be built on top of the Bitcoin blockchain. While developers of Bitcoin Classic, an attempt to implement an alternative Bitcoin protocol, are more bullish on the idea of scaling Bitcoin via on-chain means (in addition to other options), the majority of contributors to Bitcoin Core see off-chain solutions as a more practical approach to the issue. 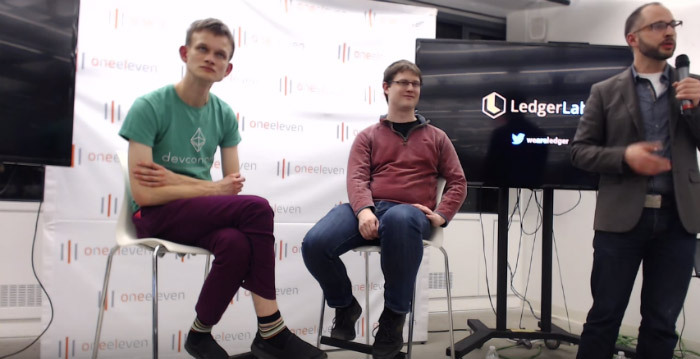 During a recent blockchain-oriented event hosted by Ledger Labs in Toronto, Bitcoin Core contributor Peter Todd shared some of his thoughts on how Bitcoin should scale, noting that the decentralized nature of blockchains make them more useful as a base layer than centralized options for specific purposes. In Todd’s view, it is preferable for security tradeoffs to be made at the layers above the Bitcoin blockchain. Todd’s point is that the level of security offered by the Lightning Network is only made possible by Bitcoin’s blockchain. The notion that transactions are processed by a relatively decentralized (at least in theory) third party (miners) means there is an understanding that transactions cannot be corrupted by the protocol layer underneath the Lightning Network. 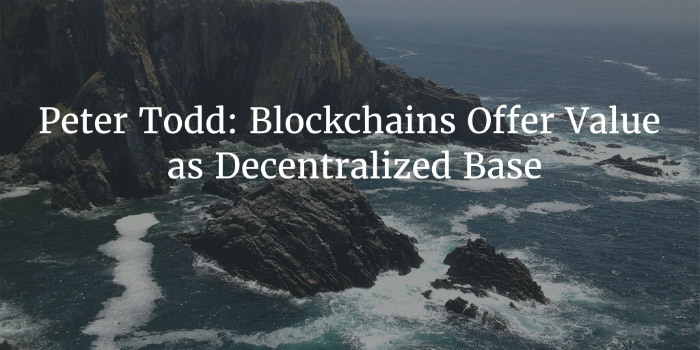 The differences between the blockchain and PayPal is a topic that Todd often brings up when talking about the real level of decentralization in Bitcoin. In the past, he has noted decentralization is the only thing that differentiates Bitcoin from traditional payment systems, which is why he is willing to defend the peer-to-peer digital cash system against any trend towards centralization at the base protocol layer.